In 1993, the son of Chris and Florence Hendriksz, future founders of FYMCA, was diagnosed with a rare disease. Because there was no information available about the disease in South Africa where the family lived, they had to leave their home and friends and move to the UK in search of treatment. Today, Chris is the world’s leading ultra-rare disease expert. His family company, FYMCA, is helping to educate doctors and healthcare providers in low-income countries on how to diagnose rare diseases, and how to treat and manage the patients. Each FYMCA program is based on a live conference that takes place in one of the low-income regions of the world. Using the material covered at the event, FYMCA is creating an online program whose members can access it for one year. In 2017, FYMCA Medical arranged their first event in Panama. They invited 30 doctors from the Central American region: Panama, Nicaragua, Ecuador, the Dominican Republic, and Mexico. At the event, they presented a board of experts from around the world who gave lectures about three rare diseases: Gaucher Disease, Fabry Disease and MPS Disorders (Mucopolysaccharidosis). These lectures were captured on video. Chris also created a quiz for each presentation. In total, he single-handedly built all 30 courses and 30 quizzes without any IT background. Once the courses were ready, the FYMCA team created a learning path in iSpring Learn and invited the 30 delegates who had attended the event. The Panama learning path consists of three modules — one per disease — and there are about 10 courses (45 minutes each). The doctors have a year to complete all 30 courses. Those who get through the content will then be invited to the next event, where different topics of training will be reviewed. “A big advantage of iSpring is that once the course is loaded to the system, it runs on any platform or mobile device. Delegates can even download courses, and that means a lot, because the Internet is often poor in these low-income countries”. Right now, all 30 doctors registered on the platform are actively studying, but there are two who are running through the modules much quicker. One doctor has completed all 30 modules within a month. “It’s very important for us to be able to monitor engagement with the content, because we are trying to identify the new leaders of the future who are really dedicated to this field of medicine, and train them up with adequate knowledge. That’s why the reports were actually one of the key reasons why we chose iSpring Learn. 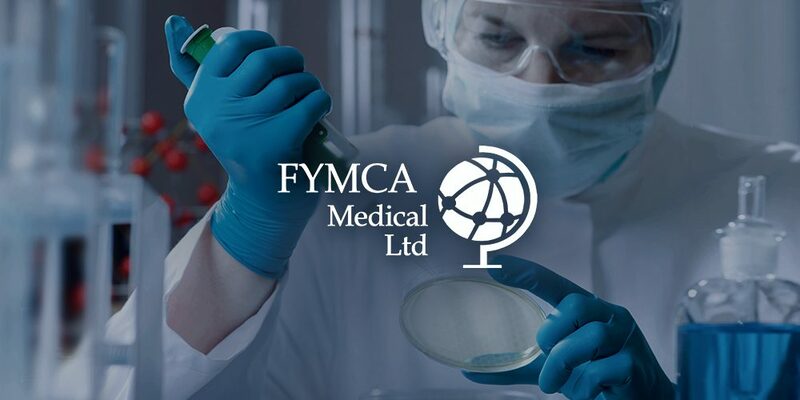 Currently all FYMCA programs are supported by Shire, a biopharmaceutical company focused on serving people with rare diseases and other highly specialized conditions. Thanks to Shire’s support, in June 2018 another FYMCA event took place in Botswana. This time it was attended by 37 delegates and two patient organizations from South Africa, Botswana, Sudan, Ethiopia, Kenya, Tanzania, Mozambique, Mauritius, Lesotho, Zambia, Malawi, Nigeria, Cameroon, and Ghana. The training faculty included eight rare disease experts from the United Kingdom, the United States, Brazil, and South Africa. In addition to three lysosomal disorders that were covered during the Panama event, this program also included disorders that FYMCA predicted to be occurring among local populations, like urea-cycle disorders, fatty-acid-oxidation defects, and many others. “For this event we did not require interpreters, all training was provided in English and delegates are comfortable in doing the online training in English. The delegates at this event were much more engaging either because of culture, or language, or the combination of the two. Once back from an event, I’ll have maybe four SD cards filled with footage. I will grab the footage from the cards (normally two to three hours of footage on an SD Card) and then cut them up into smaller videos (around 45 minutes) surrounding each topic. Once I have all the videos for each topic, I will then head to PowerPoint where I have the iSpring plug-in. I will then spend my time in the Manage Narration window syncing up the slides with the video. In order to quickly get through each 45-minute video, I use the thumbnails of the imported video to gauge when a slide has changed alongside the soundwaves to see any quiet areas that may represent a speaker going quiet whilst they change slides. Noticing a change in the thumbnail, I then zoom in and look at the soundwave, meanwhile playing the video from this point. Then, finally, I move the slide position. The work that FYMCA does to provide rare disease education and services to physicians in developing countries is key. At iSpring we are very proud to be part of such a project. You can learn more about the program on the FYMCA website. If you liked the story of FYMCA, support this article by sharing it on social media.